Have you ever experienced true silence? The absolute deprivation of sound? Maybe you’ve been on a retreat, maybe you haven’t heard a human voice for a week or two, maybe you’ve gone up into the mountains and really disconnected from the hustle and bustle of the modern world, but true silence is something different entirely. 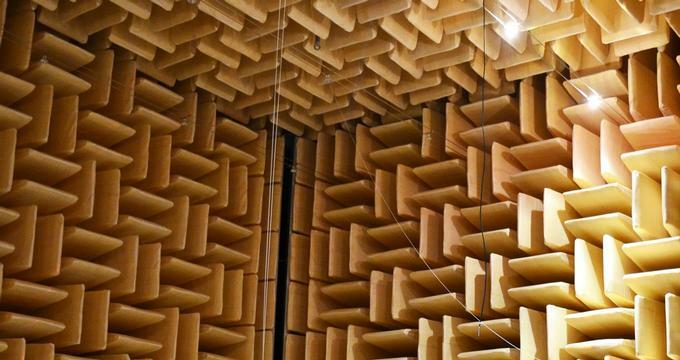 This room claims to be the quietest in the world and it really means it. This is pure and absolute silence and it is actually a genuinely unnerving experience. In fact, the maximum amount of time anyone has been able to stand exposure to this total silence is a mere 45 minutes. It might not seem like that daunting a prospect at first, but the way it works is as sinister as it is silent. As your senses adjust and become used to the absolute lack of sound in the room, they begin to heighten in order to try and make sense of your surroundings. This results in them tuning into even the most minor sounds they can perceive. You can begin to hear the beating of your own heart, the gurgling of your bowels, and the inhale and exhale of your expanding lungs, all at a near deafening level. Tuning into the inner workings of your own body may be enough to creep out some visitors, but it’s only the beginning of the journey. The next stage is a loss of balance; we actually use a surprising amount of audio cues even when walking and just standing up straight, so any length of time spent within an anechoic chamber will require you to sit down after a while in order to maintain your balance. This is when the real fun begins and the hallucinations begin to take hold. In the absence of any sound, the mind begins to create its own understanding and behaves quite strangely; many visitors have claimed they begin to have wild hallucinations in the chamber. The World’s Quietest Room has been deemed so by the Guinness World Records Association. The anechoic chamber operates with a -9 decibel sound rating, which in comparison to your average “quiet” room of around 30 decibels is quite a sizable difference. The room is used by scientists and companies for product testing and to perform other sound-based experiments. The key to the room’s silence is the fact that the ceiling, floor, and even the walls actively absorb sound instead of reflecting it like any other surface would. This is what the term anechoic chamber means, the absence of an echo. The science behind it is interesting, it achieves its super silence by utilizing 3.3-foot-thick fiberglass acoustic wedges; these are compounded by thick double walls of insulated steel and a foot of thick concrete. As mentioned before, the longest time anyone has ever spent in the chamber is 45 minutes, a record set by a reporter documenting the phenomenon of the room itself. Company founder and president Steven Orfield has admitted that he cannot spend longer than 30 minutes in the chamber, and that’s with a great deal of practice and training. He says can control the hallucinations, but he has a pacemaker and its ticking becomes too much to bear after a while. Fancy taking the challenge yourself? How long could you last?